Available in almost every great casino in the world, Blackjack is a firm favourite amongst gamblers. But why is the traditional card game so popular? Below, we explore the perks of Blackjack, it’s history, and winning. Blackjack is a simple game to learn to play. While other popular games such as poker take hours to get to grips with, Blackjack can be explained in just a matter of minutes. With the premise of the game simply being to beat the dealer to a hand of 21, the basics of the game can be attained quickly by beginners. With experience, though, players can enjoy trying to ‘beat’ the game using tips and tricks they’ve picked up. Regardless of whether you’re an expert or a novice, a traditional game of Blackjack can be enjoyed by all. While new players may be drawn to Blackjack due to the ease of the game, regular gamblers enjoy the level of control they hold. Many casino games are purely luck based, however, players can influence the outcome of Blackjack through strategic thinking. Though the basics of Blackjack are easy to pick up, players need a high level of skill to play the game using strategy. 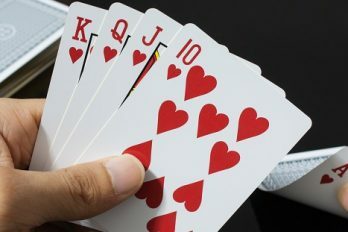 Tips and tricks can be found online, though it is thought to take years of practice to learn whether to hit or stand after every hand; meanwhile, there’s fun to be had. The consistency of the game is another reason why Blackjack is so popular. Many casino games have different rules around the world, meaning that players need to learn the rules from scratch whenever they go abroad. Blackjack, however, remains consistent in every country. This also makes the game more accessible when playing online; even if the online casino is based in another country, the rules of Blackjack rarely differ. There is no known origin of Blackjack, however, most researchers agree that it probably began in French casinos in the 1700s. Back then, the game was called Vingt-et-Un, which translates as Twenty-One. A similar version of the game was played in Spain, which was referred to as One and Thirty. The basic rules of the Spanish variant seem to have been the same, but with the aim being to reach 31 instead of 21. Other researchers suggest that the game was first played by the Romans. They believe that Blackjack was played using wooden blocks, with each block holding a different numerical value. Aside from the knowledge that Romans loved gambling, there is minimal evidence to back up this theory, however, it’s a whimsical one. Over the years, the French game, Vingt-et-Un, rose in popularity. It didn’t take long for the game to make its way to America, and a few years later it was being played all over the world. Amazingly, the rules of Vingt-et-Un are almost identical to modern Blackjack. When Nevada legalised gambling in 1931, the game skyrocketed in popularity. Still termed Twenty-One, many casinos offered a special bet to draw people into the game: a hand guaranteed to hold either the Jack of Spades or Clubs, hence the term black jack. Even though this special hand was nothing more than a promotional offer, the name Blackjack remained. If you’re a complete beginner, don’t worry – the basic rules of Blackjack are simple and easy to pick up. Better still, they remain the same regardless of whether you’re playing the online or land-based version. While regular players enjoy using strategic thinking to win or ‘beat’ the game, the basic rules can be learned fast. To win a game of Blackjack, players will need to beat the dealer’s hand without going over twenty-one. To begin, two cards are given to the dealer and each player. Before any cards are laid, each player must place their bet. Starting with the player to the left, each player is given the option to either hit or stand. If they decide to hit, they are asking the dealer to draw them an additional card in an attempt to get closer to twenty-one. If they decide to stand, however, the game moves onto the next player. As it continues, each player may ask the dealer for additional cards until he decides to stand or goes bust. A player will go bust if an additional card tips his total over twenty-one. Once a player goes bust, the dealer collects the wager. When all remaining players have decided to stand, they each show their hand. Whoever is closest to twenty-one is the winner. If you’re looking for a fun, fast action game, look no further than Blackjack. Still to this day, the game remains a favourite in casinos worldwide, with millions of players enjoying the thrill of attempting to win or ‘beat’ the game every day. When playing online, the pace of the game can be set by the player. With this, you can enjoy fast-paced gameplay if you’re in a hurry, or take is a little slower if you’ve got time to kill or are learning. Many reputable casino operators offer Live versions of the game. In a Live game of Blackjack, the game is carried out by real dealers. Not only does this make you feel more connected to the game, but it also means that your questions and queries can be answered whenever they crop up. Offering players an interactive experience, Live card games are the most advanced way to gamble in your own home or even on the go. 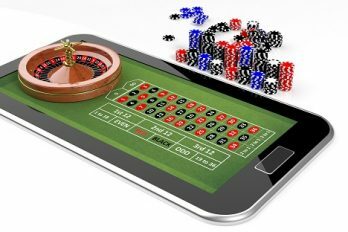 With such a wide variety of online casinos out there, it can be hard to know which one to play at. Thankfully, we’re here to help! 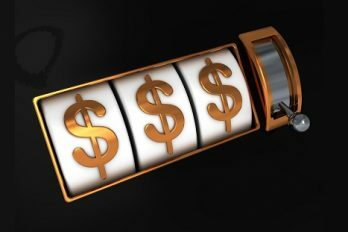 At Casinobet.com, we review a wide range of games and casinos, so we can give you the low-down on the best ones to go for. Better still, we always consider promotions. For those that play regularly, many platforms will reward you with bonuses, free bets, and huge jackpots. If you’ve got time to kill and a handful of spare cash, why not go and try your luck? You never know, you may be one of the lucky winners!